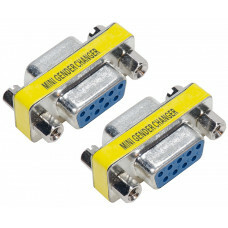 This 90 degree VGA SVGA Male to Female Right Angle Adapter allows to connect VGA/SCGA cables behind ..
DVI-I Male to VGA Female Converter Adapter. What is 29pin DVI-I Experience the crystal-clear quality.. This micro USB female to mini USB male adapter allows you to charge devices with a micro USB port. T..
Mini Bluetooth 4.0 USB dongle CSR adapter is a perfect solution for high speed Bluetooth connection .. 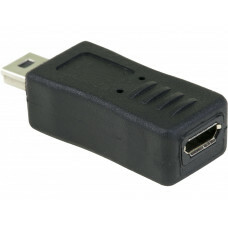 This converter allows you to convert VGA output video signal with audio in to HDMI input. This conve.. 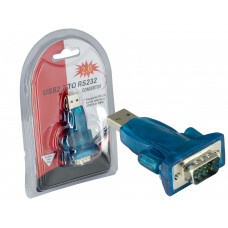 Experience the solid connection and stable signal with premium RS232 to RS232 adapter. This adapter .. This USB Memory Card Reader is a high speed device that will enable you to quickly transfer photos a..
With the Penguin USB 2.0 Hi-Speed 10/100 Fast Ethernet Network Adapter for Windows, Linux, and Mac c.. This converter designed to be used with computers or laptops that are missing RS232 port. This adapt.. The USB 3.0-VGA Display adapter enables you to connect additional display devices (CRT/LCD monitor, .. Description: Simply use this adapter to change gender of connections Ultra-portable, can als..